Fortunately, AT&T is going to simplify it's billing. This will help save the rainforest! 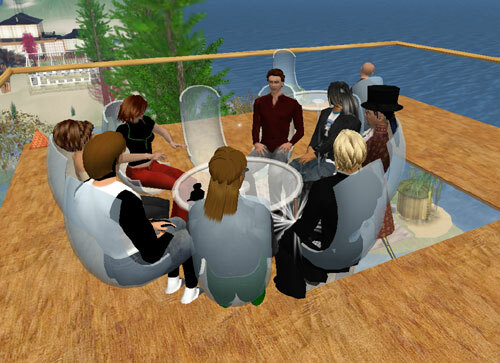 Tonight I was invited for the Second Life Geek Meet, organised by 57 Miles of Metaversed. The topics rocked back and forth between Business in SL, Griefer attacks (with some nice conspiracy theories) and Second Life's downside of conduct unbecoming a gentleman to make an ultimate understatement. Netvibes is pioneering the personal homape market, offering an alternative to traditional web portals. Although it's still running in Beta mode, it already has millions of users from 150 different countries. Netvibes lets individuals assemble all in one place their favorite websites, blogs, email accounts, social networks, search engines, instant messengers, photos, videos, podcasts, widgets, and everything else they enjoy on the Web. It's rapidly becoming a mission critical tooling for bloggers as it easily lets you add feeds, feeds and more feeds in different tabs. 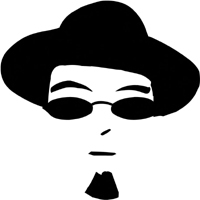 Right now I'm running a general tab with all the usual business news, weather, calender and email, a specialised Second Life tab with all the great blogs linked on this page and a Web 2.0 tab that keeps me informed of the latest web hypecycles. Aside from that some people like to keep stats of where Business Week is mentioned, this past week I scored 2 points. And there's Reuben Steiger, CEO of Millions of Us who reacted to my blog on his 2007 predictions for Second Life and Paul Verhoeven who turned out to be a well metaversed SL-savvy director and kind enough to take half an hour to sit and have a chat with me on his new movie Black Book and auditioning in SL. In the past month I've gotten to know Aleister Kronos, who's employed at a competing corp, a passionate blogger at Ambling in SL and 57 miles, professional bloggernaut at Metaversed. A month blogging like a lunatic earned me some nice friends, some scoops, some sleepless nights and some nice credits. A warm welcome to two friends of mine, Aleister Kronos, a notorious bloggernaut http://slambling.blogspot.com/ from the UK. 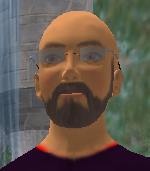 Aleister spends his inworld time as a traveller and is usually one of the first people to spot new company sims. To avoid copy pasting from his blog in this dog-eat-dog world of exposure, it is nice to have him on board to share his views with us. And secondly a warm welcome Lordfly Digeridoo, a long time resident of Second Life. Aside from being a student (Majoring in Sim City and Minoring in Google Earth) he is a very prolific contractor for Millions of Us, having done over 70 large projects such as Nova Albion, Toyota Scion City and many many more. Because of his widespread presence in SL it's best to have him on board as well and receive first hand insights on some builds.